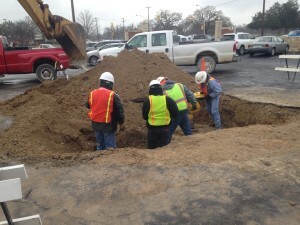 A six-inch water pipe busted under a Tarleton State parking lot on Wednesday afternoon, causing thousands of gallons of water to begin shooting out of cracks in the asphalt in front of Bender Hall. 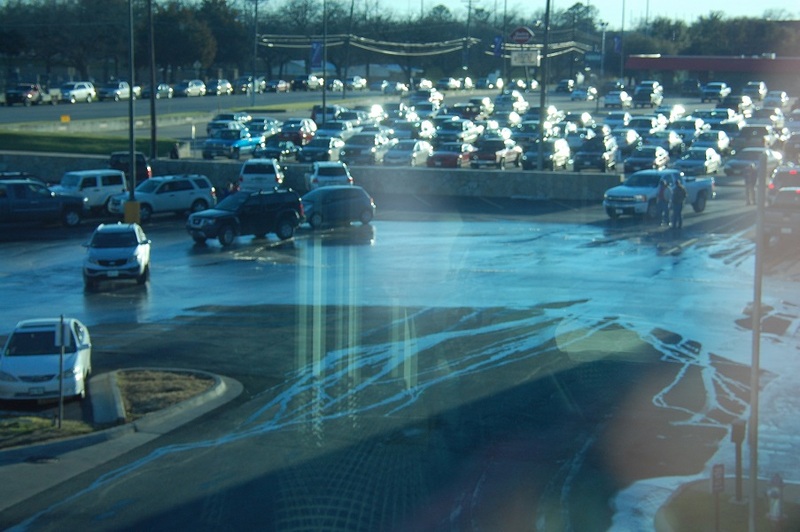 Parking lot P-11, reserved for faculty and staff, had noticeable areas where the water pressure was pushing up the asphalt. Tarleton students Katy Reynolds and Shavon Cashion were some of the first to notice the busted pipe. 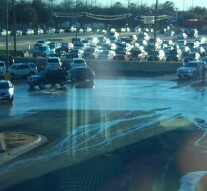 Water poured out of the asphalt yesterday evening in lot P-11 after an underground pipe burst. “We were walking back to our cars, and there was water coming out of the ground,” Cashion said. “Within the five minutes we were here, we noticed sections of the ground coming up really high, and then the ground started to separate more.” Cashion said that she tried to call the campus police but did not get an answer. “By the time the workers got out here, the center section had raised at least an inch and a half or two,” Reynolds said. A crew is using heavy operating equipment to repair the damages made by the burst pipe. 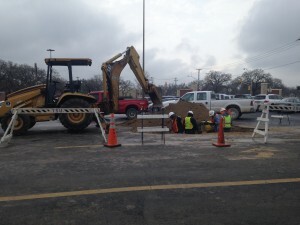 A Tarleton State project manager was on scene and said that, while he hasn’t looked at the drawings yet, he believes the source of the leak to be one or two busted six-inch water lines. 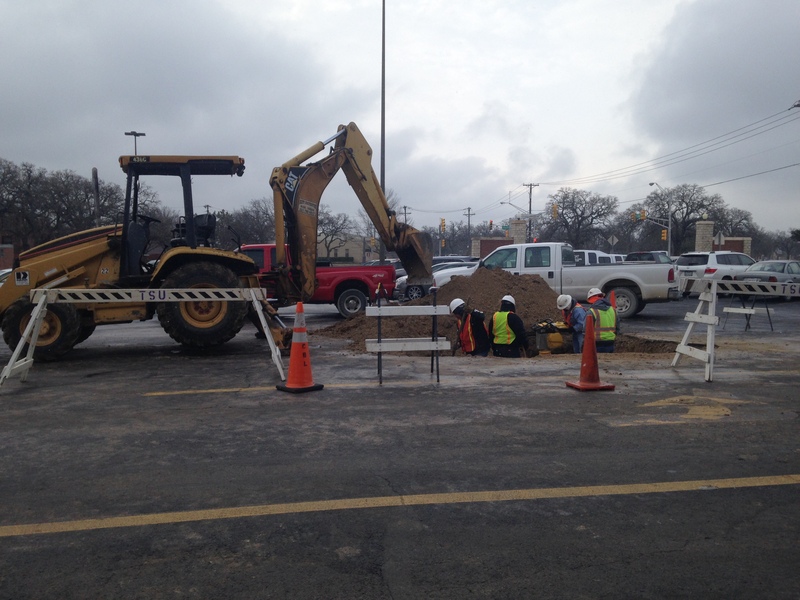 A crew will have to dig up the parking lot in order to repair the broken pipes. All water traveling to the area, including water to the west end of the library, Davis Hall, Bender, and Ferguson, was turned off by 6:00 p.m., and all cars were moved. A contractor was contacted to begin repairs. The leak was fixed and water turned back on yesterday evening. 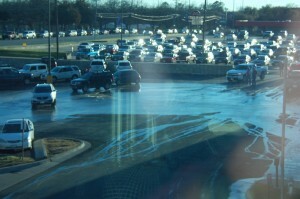 Some parking lot repair will have to be done today in P-11, but no closing is expected. 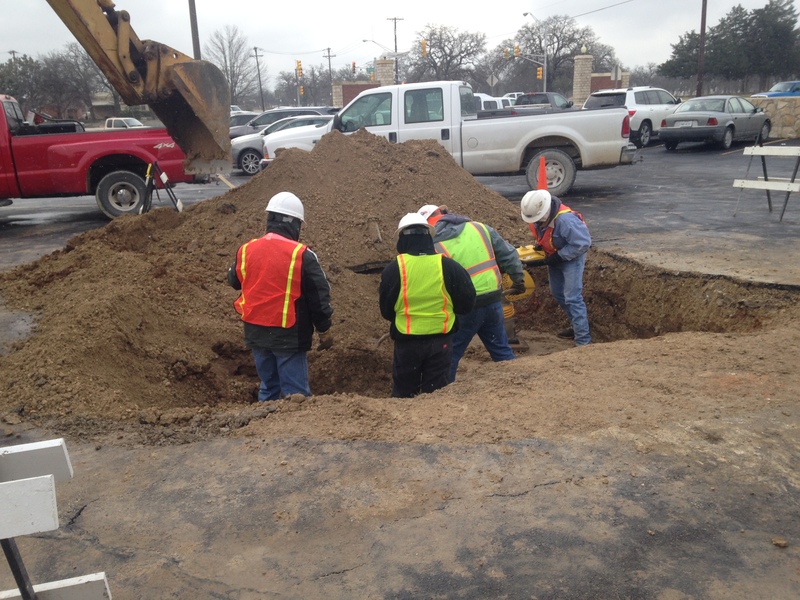 This morning, a team of workers can be seen standing in the crater in the parking lot, mending the damages where the pipe burst. A team is standing inside the hole in the parking lot, tending to the damages.